Thumbing absently through Facebook posts before bed, I read this one that stopped me in my tracks. It brings to mind what I consider to be the most romantic line in cinematic history, or at least of the movies I’ve seen. What love! It melts my heart every time! It’s a love that says nothing will keep us apart, and I will see to that! A love that says don’t fear, because I will find you, and I will rescue you! And so, when I saw the picture above wherein Jesus states, “I came for you,” I thought of that passionate, extravagant love. He came for me. For ME. (And for the whole world.) He rescued me. He went through hell–literally–to do it. Nothing stopped him. And now, nothing can separate me from that love. It’s a love that’s big and passionate and pure and strong and unrelenting. Can you just see him looking deeply into your eyes and saying, “I came for YOU!” It’s like, “I did this for you, because I love you. Now what’s your move?” It’s like when someone tells you for the first time, “I love you.” There’s an expected response of some kind. A waiting. An anticipation. 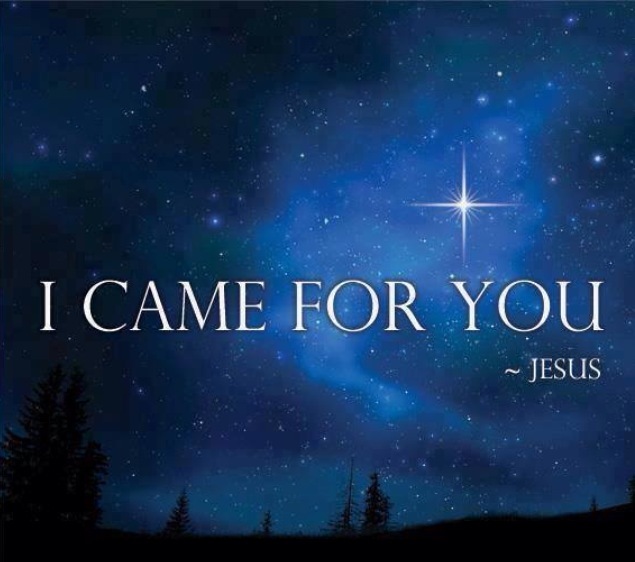 He came for us. It’s our move. Once again you touched my heart!!! I am so happy He came for me!!! !